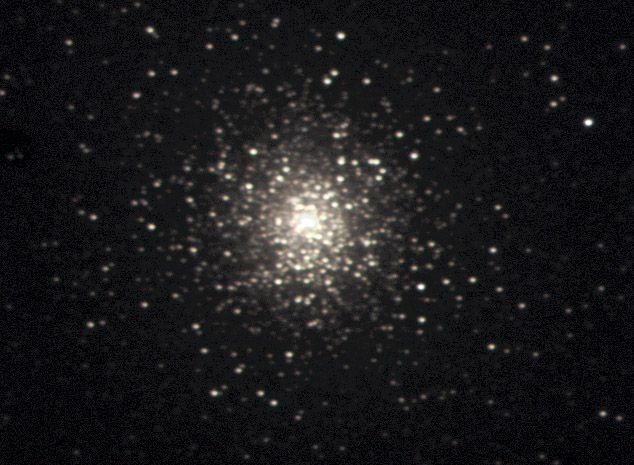 In late March, with the moon washing-out dimmer objects, I imaged several clusters. 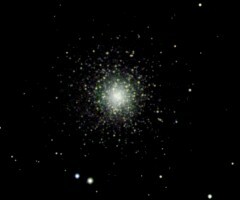 This is M53, a globular cluster. 100x30s L, 30x20s R, 30x30s G,B. 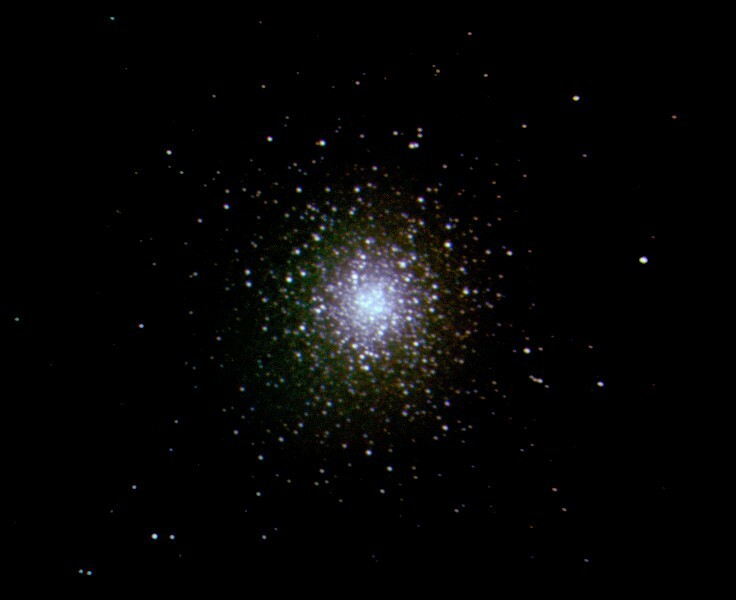 Also M53, taken with my new ED 80 apochromatic refractor (the little scope mounted piggybak in the image on the home page). Note the wider field-of-view. 50x45s L, 30x30s R, 30x45s G,B. 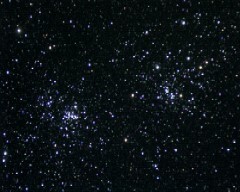 The Perseus Double Cluster - Two star clusters in one. This is visible in binoculars. 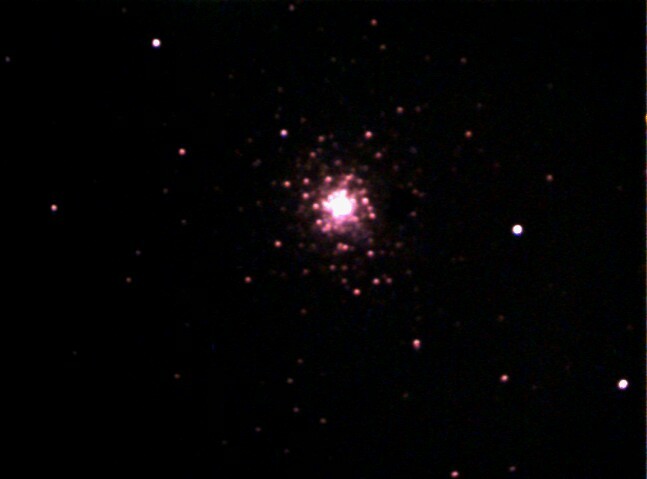 This is the Beehive Cluster, taken with my ED 80. 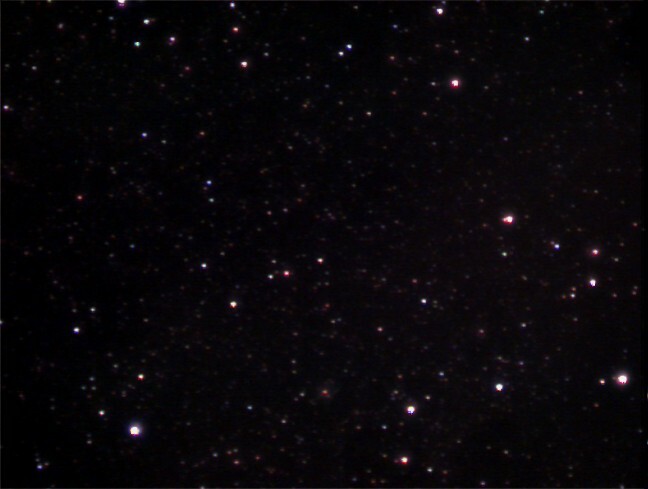 I made the spikes on the stars by taping a couple of pieces of wire across the front of the telescope. 30x15s L, 30x10s R, 30x15s G,B. 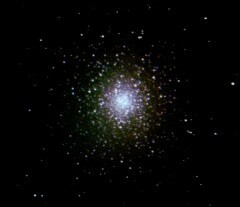 This is M3, the largest known globular cluster (there are hundreds in our galaxy). 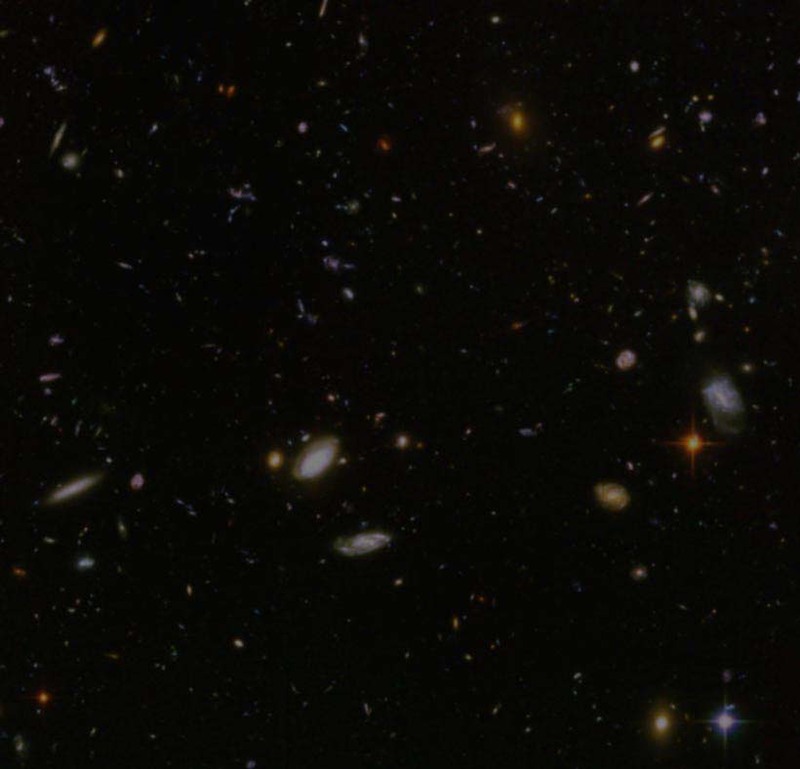 It has about half a million stars in it and is 30,000 light years away. 60x45s L, 20x30sR, 20x45s G,B. 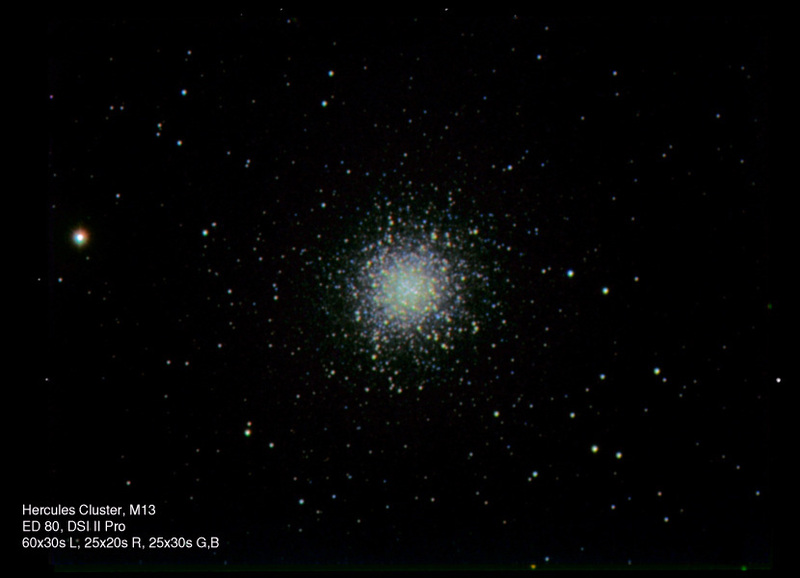 M13 - compare it to other images I've taken of it in the past. I'm making progress! 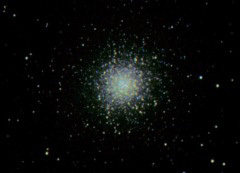 This is the brightest of the globular clusters, so it is a popular target. 30x60s L, 30x20s R, 30x30s G,B. 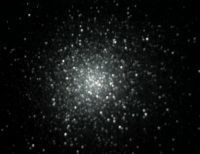 M13, Globular Cluster in Hercules, 10/1/06, 30x45sec, lrgb. M15, Globular cluster in Pegasus, 30x20sec, lrgb. 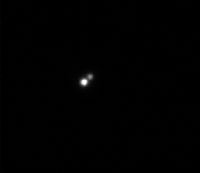 This isn't really a cluster, it's a double-star - two stars orbiting each other. Usually they look like one star and you need a high magnification (600x here) to split them. Some people consider them a challenge...or something. Frankly, I don't see the point. But hey, here it is! 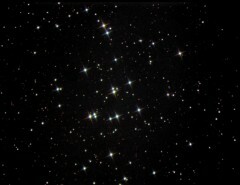 The Pleiades, M45, taken through my piggybacked SLR lens on 9/20/05 - 15 second exposures. 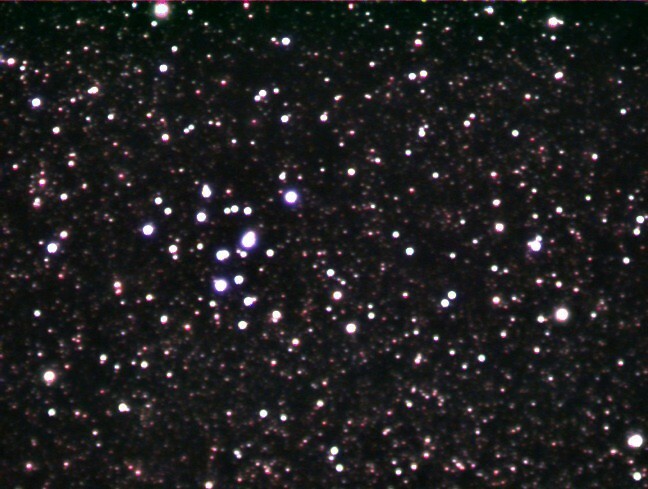 There is nebulosity there, but it isn't visible in this image. 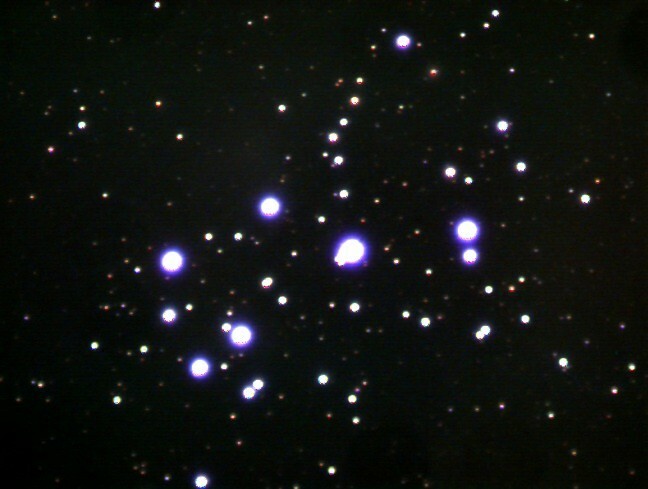 M34, an open cluster, taken through the SLR lens on 9/20/05. 10 second exposures. 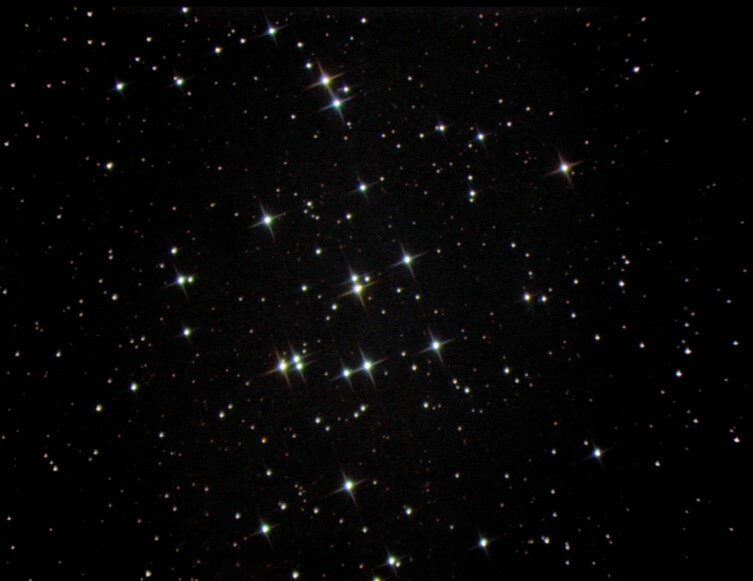 M34, with 30 second exposures from 9/20/05. 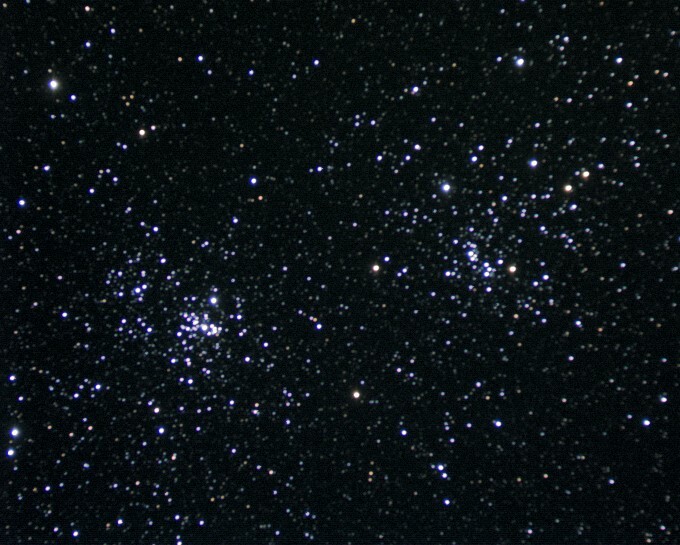 The cluster is against the backdrop of the Milky Way, so with longer exposures you get a lot more stars. 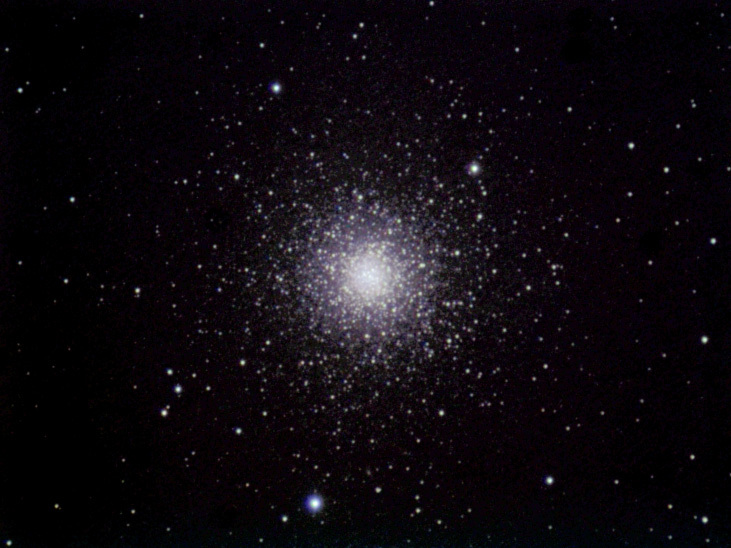 The globular cluster (almost a mini-galaxy) in the constellation Hercules. 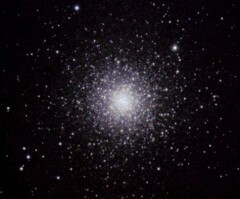 Photo taken through the SLR lens on 9/19/05, 10 second exposures. See higher magnification version below. 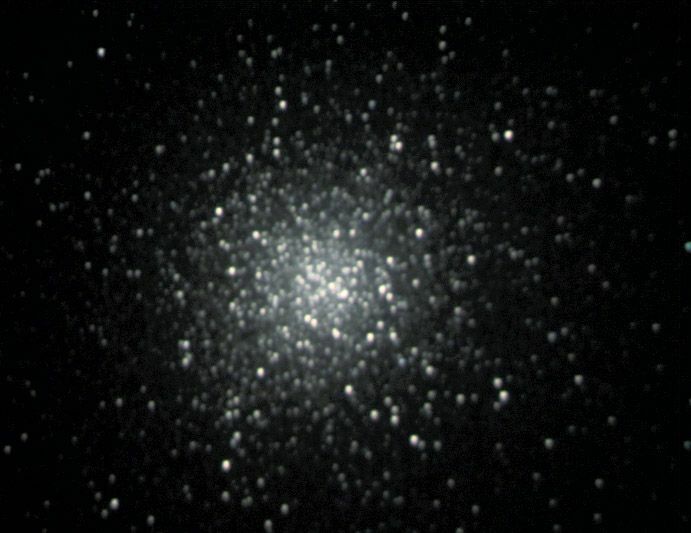 M13 through the telescope on 2/19/05, 10 second exposures. 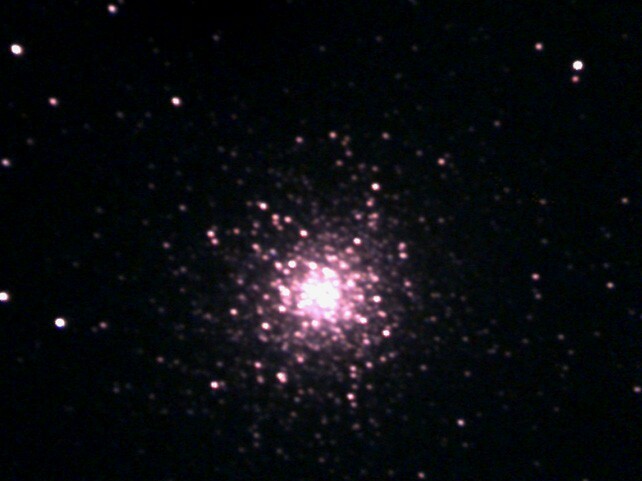 M13 on 4/13/05, 30 second exposures. 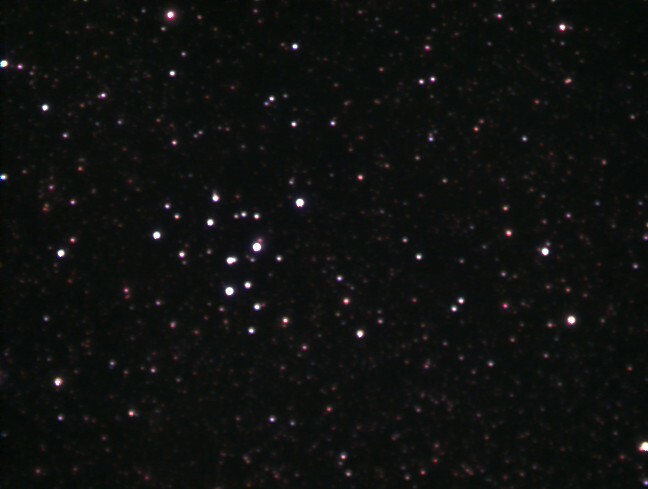 Open cluster M39, taken on 9/19/05, 10 second exposures. 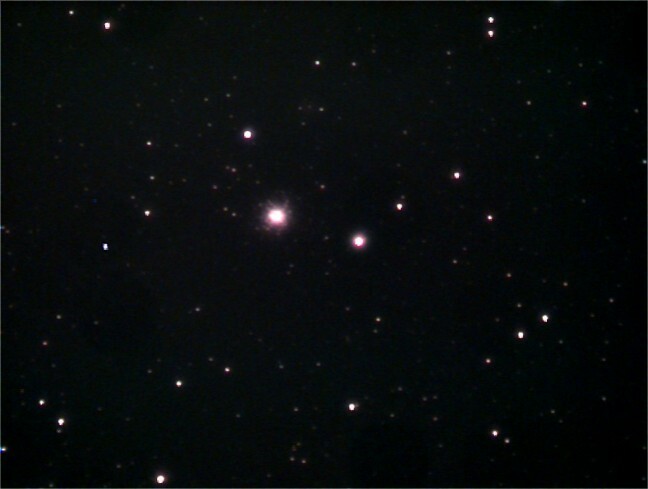 Not much there, so I'm not sure I had the cluster centered. 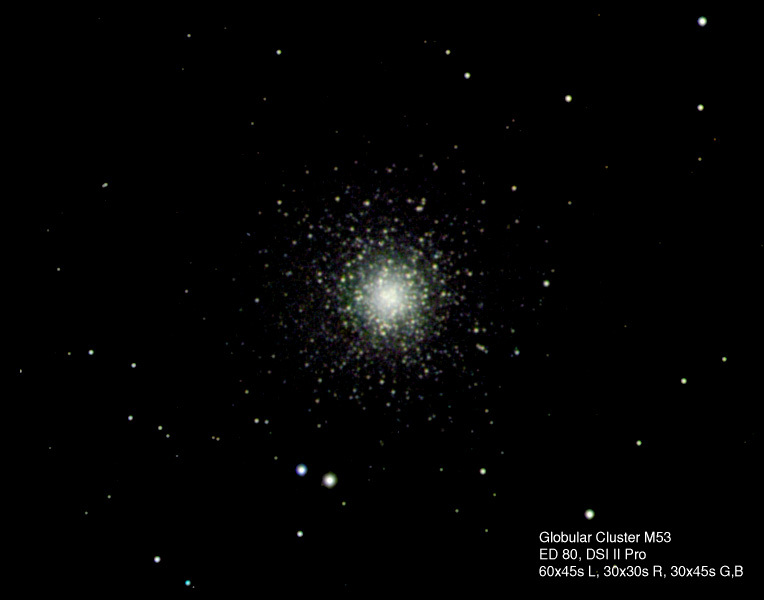 Globular cluster M92, 15 second exposures, taken on 2/19/05.